#1 Give a gift in someone’s name directly to a charity. It is the easiest, and fastest way to give to a cause. Most charities are set up to give gifts in someone’s name and will send a special email or card letting the recipient know the gift was given. Give to a charity that you think the recipient will most care about, it can be a recurring gift or a one time donation. If you you need ideas, consider charities most in need right now -- disaster relief is something we can all get behind. The American Red Cross, America Cares, or the ASPCA all help those in need from hurricanes to fire disaster. #2 Make it personal. Try to buy gifts that have real value, benefiting causes you think will be meaningful to the recipient -- today, people invite people to give to causes on social media year round so it is relatively easy to determine what is meaningful for a friend or family. Be just has thoughtful as you normally would be in picking out a gift you buy at a store. Give to a regional chapter of a national cause and you can help with local needs (the United Way or your local Y comes to mind) -- there are many options from community centers, hospitals, animal shelters, education and more. Be mindful of Gofundme pages unless you know someone who can verify the need. Charitable giving is highly regulated for non verified non profits but fundraising sites are still finding their way. Verified and regulated non profits help you avoid scams and you can ask where and how your money is distributed. #3 Give a fair trade gift . Sometimes the benefit of a gift is not in the money they give to a cause but in the employment and commerce they give to a region, country or community. There are numerous options for this both in the US and abroad. Tell the story behind the product to your recipient and they will cherish it that much more. You may not think the idea of buying sustainable is charity and you are right technically but giving people a livelihood is the best gift possible in my opinion. I encourage you to support all businesses that support sustainable commerce. I can still remember after 9/11 having my office in Soho and seeing restaurants and retail stores sit empty because no one was coming downtown. Eventually people returned but many went out of business. Buying local is not charity per se but if you make a commitment to buy local, it does say a lot. #4 Give a charity related gift that has a social message. Sometimes raising awareness for a social issue is just as important as raising money for the cause. Charities offer numerous branded items to help spread their message right on their websites, find something you think is attractive and help spread the good word. #5 What do you do when you don’t know where to start? Check out Charity Navigator — www.charitynavigator.com. Charity Navigator works to guide intelligent giving. By guiding intelligent giving, they aim to advance a more efficient and responsive philanthropic marketplace, in which givers and the charities they support work in tandem to overcome the world’s most persistent challenges. They rank charities on a variety of different measures and can help you select a charity to support. LSTN makes high quality audio products and donate the proceeds to helping the hearing impaired hear through Starkey Hearing Foundation. 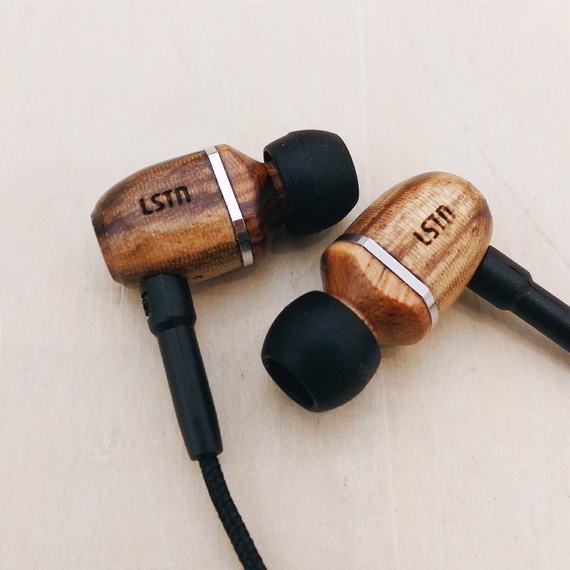 We are proud to carry this line of headphones, speakers and ear phones.